Apple refined its smartphone formula with the iPhone 6S and brought a few new features to the table, but the battery life is a definite disappointment. While smartphone tech continues to advance, the battery remains its weakest link. Thankfully, there is something you can do about it. If you’re sick of your iPhone running out juice on the go, you might want to opt for a protective case that touts more than just hard-shell components and a raised lip. 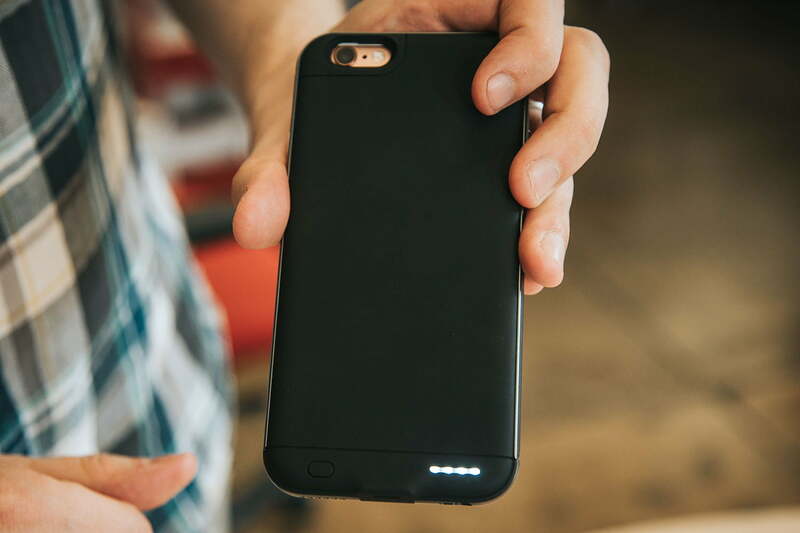 Below are the best iPhone 6S battery cases available. 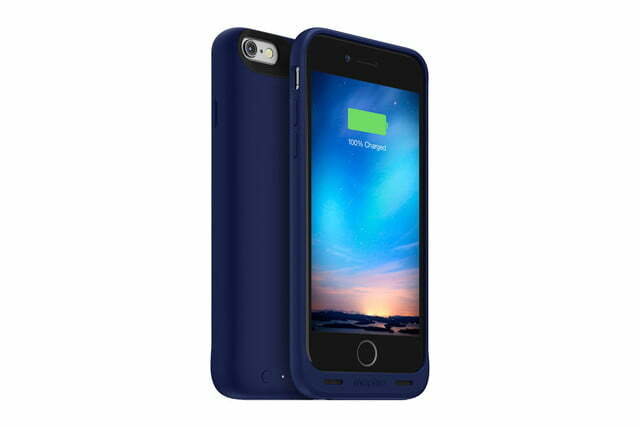 Most battery cases are bulky, but Innoant’s Air Case adds just 3.8 millimeters of thickness to your iPhone 6S. Even better, it still manages to pack a sizeable battery into the sleek frame, essentially doubling the length of time you can expect to go between charges. It’s a two-part design that combines stylish aluminum edges with a soft-touch, rubber back plate. Unlike some iPhone 6S battery cases, it’s also easy to fit and remove. The Air Case has a standard Lightning jack for charging and it supports pass-through charging, so you can charge your iPhone 6S first. There’s a power button near the bottom of the back, too, which comes equipped with four LEDs that indicate the remaining power. You’ll find decent button covers and cut-outs for your phone’s camera, switch, ports, and speaker. Sadly, the headphone port is quite tight, so it won’t fit every set of headphones. It’s available on Indiegogo right now at a reduced price, which is a bargain. The full retail price is expected to be around $80. Read our full review. There are a couple of compelling reasons to consider this stylish two-piece case from Moshi. First, it combines a basic case with a removable battery, so when the battery has done its work, or you want to travel light, you can simply remove it. It also charges faster than most battery cases because it’s capable of 2.1A input and output. 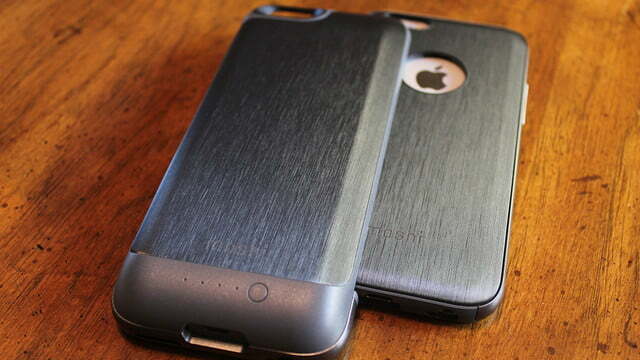 Moshi’s brushed-metal finish looks great, and capitalizes on a tough polycarbonate and a microfiber lining. It offers decent protection, too, and there are button covers and accurate openings for your phone’s switch, ports, camera, and even the Apple logo on the back. The battery portion of the case mimics the metallic look, and has a standard power button with four LEDs to show the remaining power. 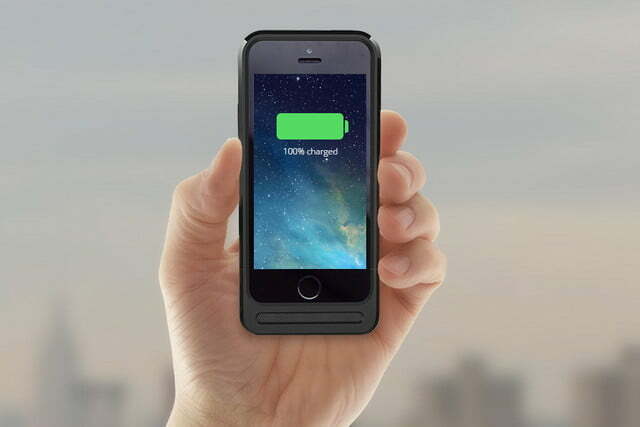 The case will double your iPhone 6S’s battery life (and then some). It charges via a Micro USB port, however, rather than a Lightning port. 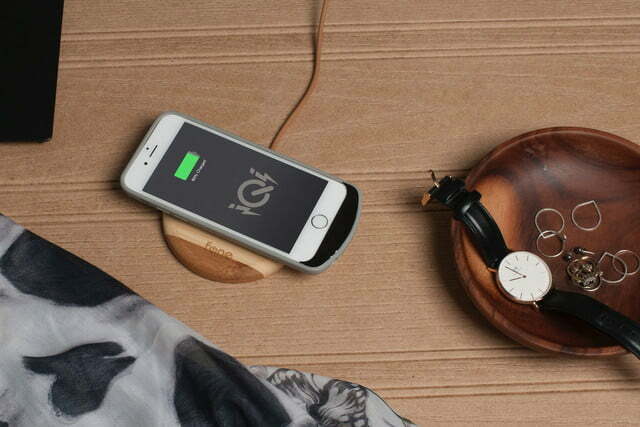 The battery base is also compatible with Moshi’s leather Napa case, if you want to mix and match. This is a very chunky and heavy option, but the fact that you can remove the battery when you’re done with it goes some way toward mitigating the extra bulk. You’ll also struggle to use the headphone port with some connectors, but Moshi does include an extension cable to cope with that issue. Read our full review. 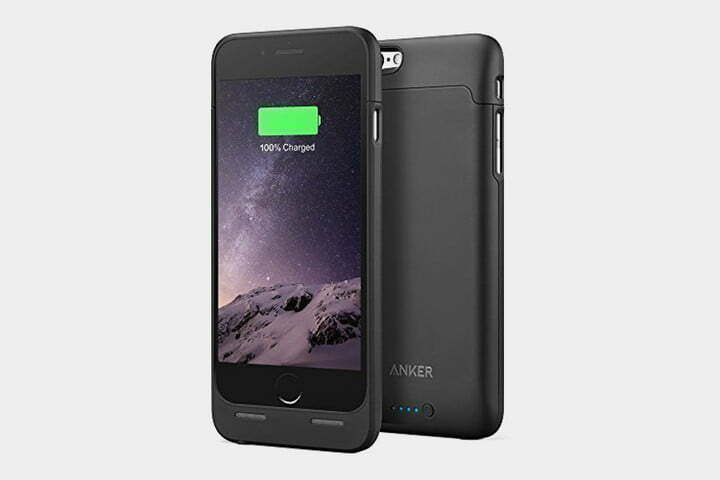 You get an awful lot of power within a slim, low-priced package when you opt for Anker’s offering. 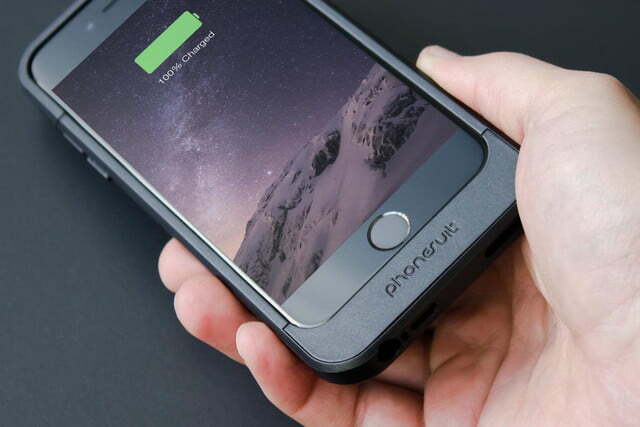 The big battery in this case will more than double the battery life of your iPhone 6S. It’s a polycarbonate case with a soft-touch, matte exterior that not only adds some extra grip, but also collects fingerprint smudges. 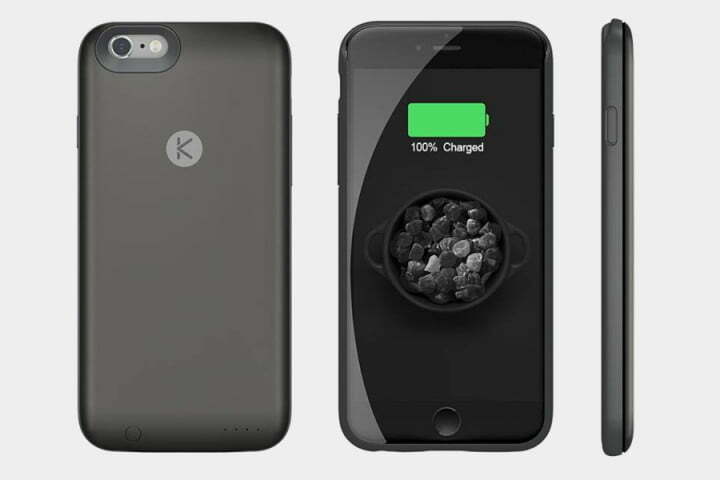 The two-piece design is fairly easy to fit around your phone, but, like many battery cases, it’s not going to provide much in the way of drop protection. Most of the bulk is in the bottom section of this case and you’ll probably have to use the supplied audio jack extender if you want to plug in headphones or earphones. There’s a power button on the back, and four LEDs to show the remaining power. Unfortunately, it’s a bit too easy to accidentally turn the power button on when you place the case down, or shove it in your pocket. 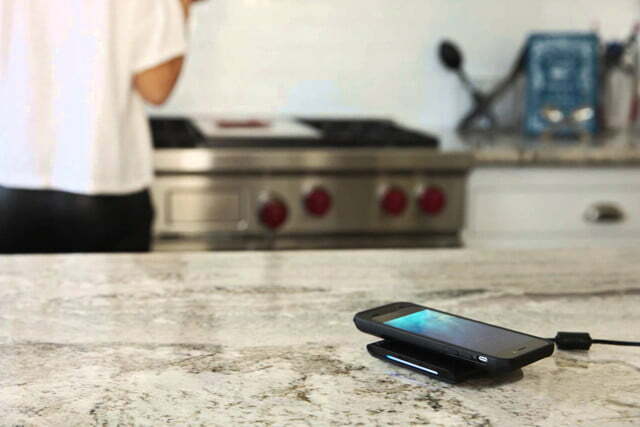 This case is MFi-certified, though, and it charges via a Micro USB cable. It comes bundled with a short cable, and at this price, it offers a lot of power within an impressive package. You get a respectable chunk of extra power from this case. It provides around 50 percent more battery life than usual. It’s a relatively low return, considering that it’s quite a chunky and bulky case, but there’s more to it than meets the eye. The added attraction here is wireless charging. 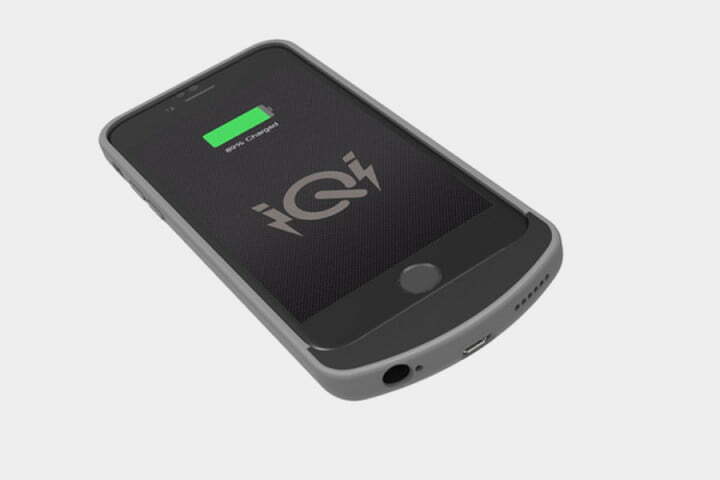 When your iPhone 6S is wearing this case, you can place it on any Qi wireless charging pad, and it will start to charge up, albeit fairly slowly. It’s really convenient, though, and it saves you from fiddling around with cables. 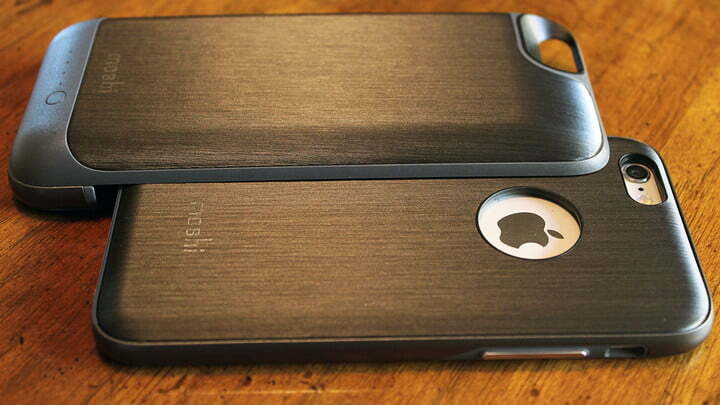 The case itself has a thick back panel containing the Qi charging receiver and the battery. You’ll find a standard power button on the back with four LEDs to show remaining power. Sadly, it adds a lot of bulk at bottom of your iPhone where it plugs into the Lightning port. The vast majority of iPhone battery cases have this unsightly bulky bottom, and it also limits access to the audio port, so you may need an adapter for your headphones. You’ll use a Micro USB cable to plug into the case and charge it up (cable included). It is fully MFi certified. The case itself is comfortable to handle. 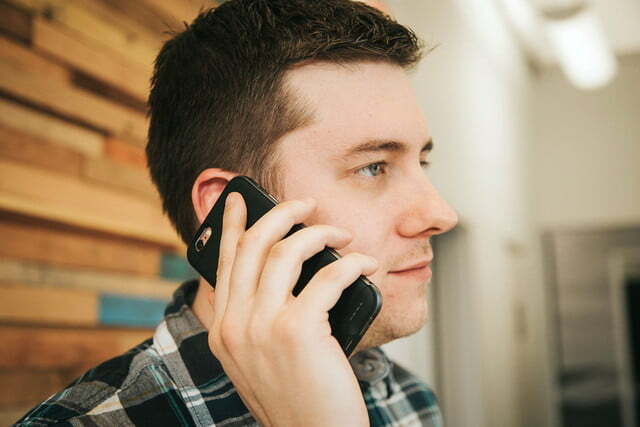 The soft, flexible sides are pretty simple, and there’s a raised lip to protect the screen. The flexible section is light grey to contrast with the black of the main body, and there’s a very subtle logo on the back. 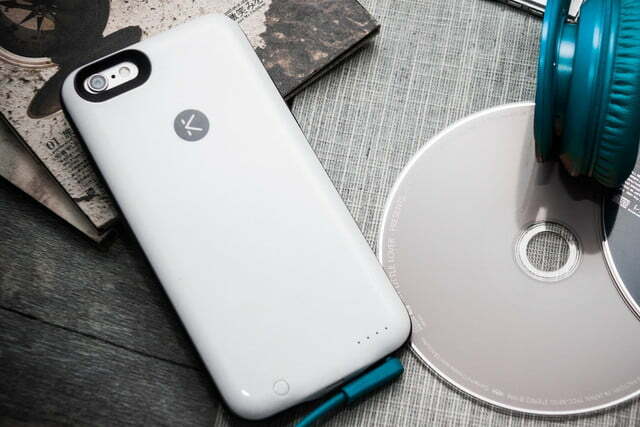 If you aren’t attracted by the wireless charging capability, you might feel that the battery is a bit too small to make it worth considering, but the case is also very affordable. We’re impressed at what Kuner has managed to pack into such a slim, lightweight case with the Kuke, which was successfully funded on Indiegogo. This is the slimmest and lightest option on our list. It comprises a glossy, hard, polycarbonate back panel in white or black, with a standard power button and four LED display, combined with a flexible black frame that sports button covers and accurate cut-outs. Perhaps the best thing about the Kuke case is the fact that there’s no big, bulky section added on the bottom of your iPhone, and you can use your standard Lightning cable with it for charging and syncing. The battery is big enough to offer up to a 70 percent boost for your iPhone’s battery, and there’s also some extra storage space in there. We looked at the 16GB version, but there is a 64GB version, too. 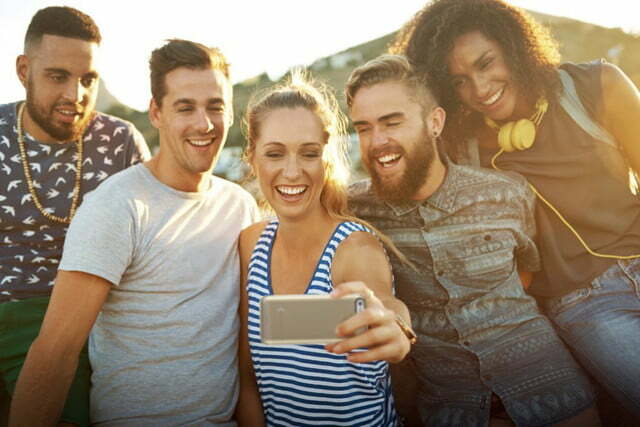 Using the Kuke app, you can organize your extra space and offload photos, videos, and other files into the case storage. There’s no sign of MFi certification, though, and the app isn’t particularly well-designed. These two factors along with some dodgy translation work, worry us a little bit. However, it seems to work as advertised and the form factor of the Kuke is really impressive. If you’re desperate to get away from bulky solutions, then you’ll want to check it out.